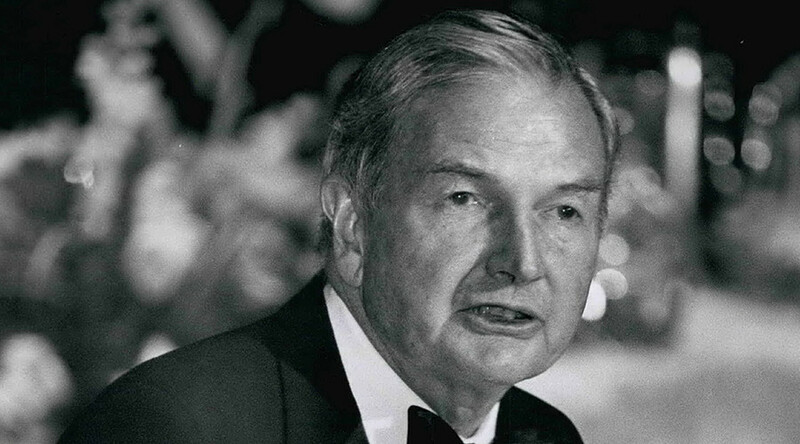 Following the news of billionaire banker David Rockefeller’s passing Sunday morning at the age of 101, we take a look back at the Chase executive’s bizarre and often controversial life. 1. 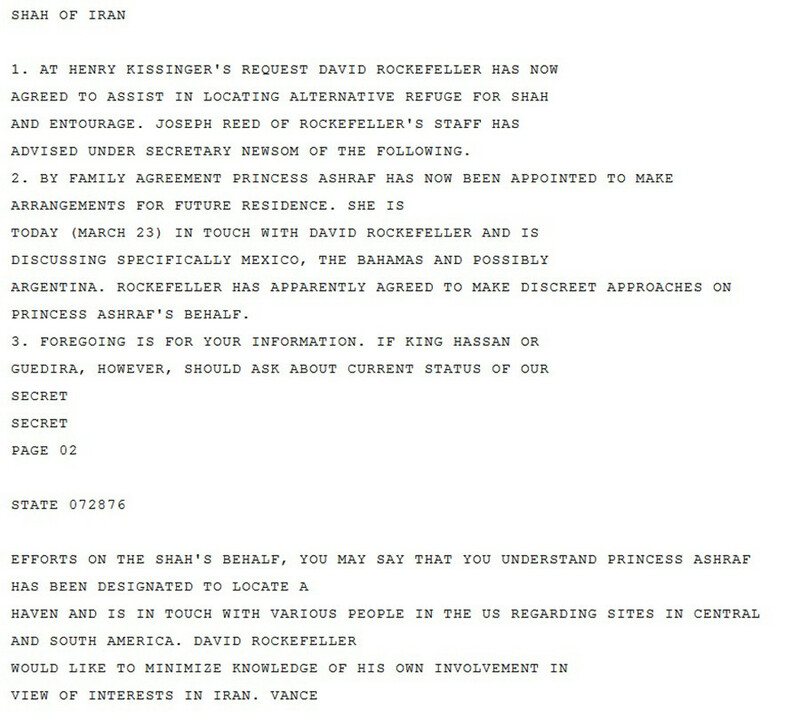 According to US diplomatic cables released by WikiLeaks, Rockefeller was asked by former US Secretary of State Henry Kissinger in March 1979 to help find refuge for the deposed Shah of Iran and his family. The cables note that Rockefeller “has now agreed to assist in locating alternative refuge for Shah and entourage”, and that he “apparently agreed to make discreet approaches” on behalf of the Shah’s sister. 2. 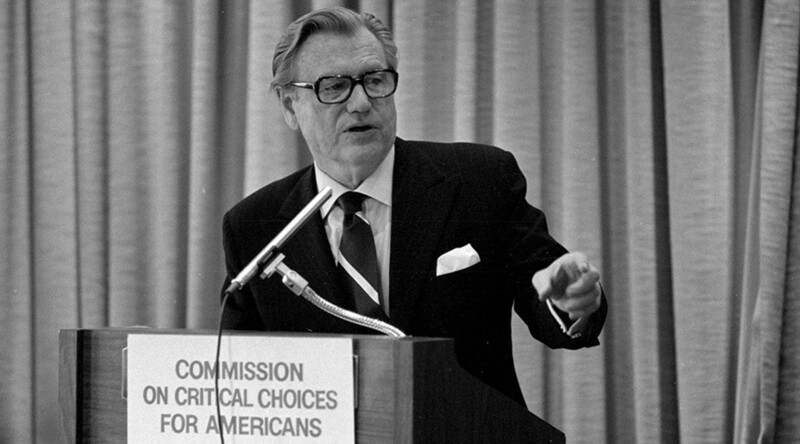 David’s brother, Nelson Rockefeller, was the 31st vice-president of the United States, serving under President Gerald Ford from 1974 to 1977. 3. Rockefeller attended meetings of the secretive Bilderberg Group, frequented by world leaders and influential business people. 4. One popular online theory surrounding Rockefeller is that he broke the world record for most heart transplants with up to seven, the last one allegedly as recent as last year. However, there’s no record of any patient ever receiving that number of heart transplants – even those who receive two such transplants over their lifetime is rare. 5. During his 35 years at Chase Manhattan Bank, he visited more than 103 countries and clocked up more than 5 million air miles – the equivalent of 200 trips around the world. 6. The wealth amassed by the Rockefeller family has led to an impressive art collection, including the bronze gilded Prometheus sculpture by American artist Paul Manship and 15th century Unicorn Tapestries gifted to the Met Museum. David Rockefeller’s childhood home – an eight-story mansion at 10 West 54th Street, New York City – is now the site of Museum of Modern Art Sculpture Garden. Meanwhile, his father’s dressing room, dating from the 1870s, is also on show at New York’s Met Museum. John D Rockefeller’s former bedroom, described as a “true model of late 19th century decorative arts”, is exhibited at the Virginia Museum of Fine Arts. 7. In 2015, Rockefeller marked his 100th birthday by donating 1,000 acres of land in Seal Harbor, Maine to the Mount Desert Island and Garden Preserve as a “gift to all the people of Maine”.